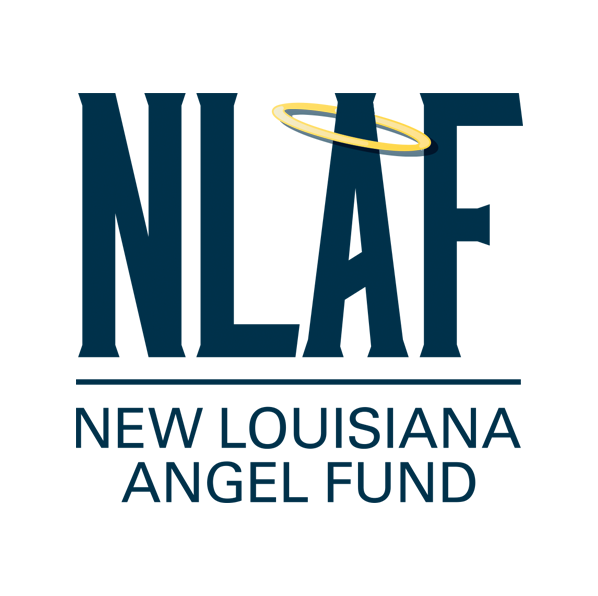 The New Louisiana Angel Fund 2 (NLAF 2) was launched by BRF in May 2018 with more than $3 million in investments from over 60 accredited angel investors. Following the successful formation of NLAF 1 with 53 investors and more than $2.6 million raised in 2015 and its investments in 11 North Louisiana-based businesses, NLAF 2 is the second accredited angel investment fund in the region and continues the NLAF goal of targeting high-growth startups based in North Louisiana. NLAF 2 already has invested in two North Louisiana startups. In November, the two funds held a joint annual meeting to review portfolio company milestones and growth. NLAF 1, since its 2017 annual meeting, has invested in three companies, bringing that fund’s current investment in North Louisiana businesses to almost $2.5 million. In 2018, NLAF 2 invested in CyberReef Solutions and Oleolive, with commitments to three other companies. With the two funds combined, NLAF investments include companies involved in the following industries: software, healthcare, IT services, consumer products/services and retail, industrial/energy, and a number of other industries. Software and healthcare continue to make up roughly half of the portfolio. Created to ensure a vibrant innovation ecosystem and invigorate economic growth, the BRF-managed funds not only invest in companies as a fund, but individual investors can also participate in “side cars,” making their own investments and providing further opportunities to impact North Louisiana’s economy. To date, NLAF portfolio companies have created 108 jobs – 76 of those jobs are in Caddo Parish – with an average salary of $55,000. The combined generated capital of NLAF 1 and 2 companies is $48 million. Embera completed development of a new formulation of EMB-001, successfully manufactured the new formulation, and tested it in a small clinical study that will allow use in Phase 2 clinical studies. Patents have been filed in all major markets for this new formulation that is expected to extend EMB-001’s patent protection into 2038. Embera is in final preparations for two EMB-001 Phase 2 clinical studies, one in cocaine addiction and the other in smoking cessation that will be initiated once funding for the studies is secured. Approximately 40 percent of the cocaine addiction Phase 2 study will be supported by the funding that remains from Embera’s $11 million NIH grant. Swaybox has developed a new puppet technology that is cheaper and faster than regular CGI animation. The studio has also developed a new animatronic facial technology. Additionally, Swaybox is beginning to work on a feature film. An official announcement is coming soon. The studio has also hired a student from the Digital Media Institute at InterTech, a division of BRF, investing in the next generation of Shreveport’s workforce. Lagniappe Labs launched the Prime Unicorn Index, which tracks privately funded companies that have achieved $500 million in market valuation. It is the first index to track share price information of such companies. In addition, Lagniappe is building a trading platform (Alternative Trading System) for buyers and sellers to trade restricted securities. Cloud-based services that provide businesses cyber security protection for their mobile devices and give them the ability to monitor and control mobile data use by their employees Having grown every quarter for the last 12 quarters, CyberReef is set to expand internationally and will expand its employee base by bringing on 20 new hires. SkyCoach has partnered with Stack Sports and its Krossover brand to integrate their respective sideline replay and film analysis technologies for youth and collegiate sports markets. Offered for the 2019 football season, the new technology package will allow teams to have in-game replay for analysis and immediate post-game highlights for coaches to provide instruction without delay. PEP! recently launched its new website and its new mobile app will soon be available. The app will help children learn to take care of their pets by rewarding them for completing certain tasks. Additionally, the company is prototyping its first product, due to be released soon.